Through discoveries in nanoscale materials, Capacitech ingeniously combines modern nanoscience with two reliable, well-known technologies – coaxial cable and supercapacitors – into an innovative, energy effective product easily adapted for use in consumer electronics, energy production and storage, transportation and military applications. In a nutshell, the product will fuel the integration of clean energy generation, transport and storage on a global scale. Capacitech’s cable based supercapacitor can store and transport electrical energy on the same coaxial cable. This is a game changer for energy storage and is one of the first “two in one” energy storage devices being commercialized. Consumers drive innovation by continuously demanding products that simplify and improve their lives. Incorporating a superconductor radially around a conducting wire drastically changes the landscape of clean power transmission and storage. It also has the ability to improve the consumer’s use of portable electrical devices by enabling lighter weight products. Independent energy storage devices in the form of cables for houses and other commercial buildings to store energy from solar panels is another benefit. These cables can also be constructed in the form of fibers, which can be used manufacture textiles for both military and civilian applications. Dr. Jayan Thomas of the UCF Nanoscience Technology Center is the Academic Team Leader. 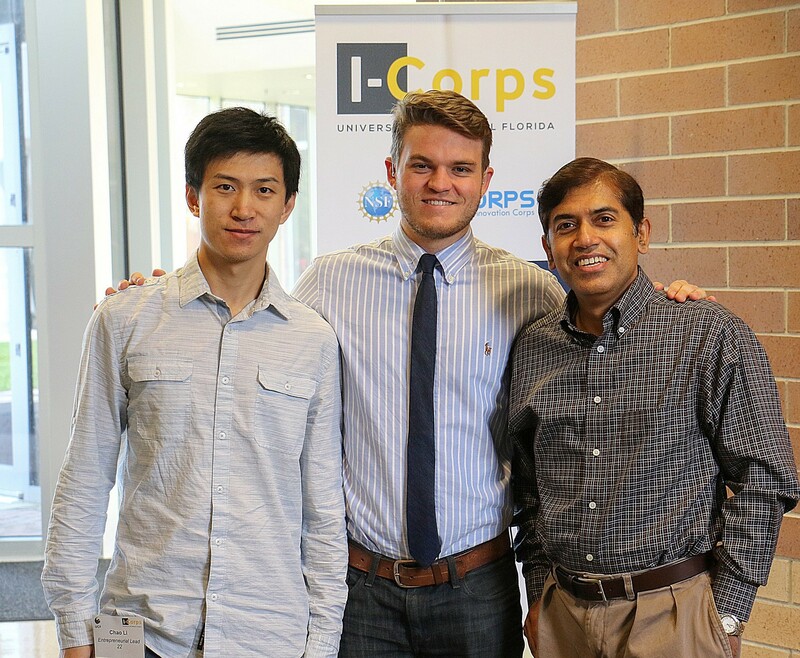 UCF undergraduate student Joe Sleppy and PhD student Chao Li will co-serve as the Entrepreneurial Team Leads. Dr. Greg Howes, President & CEO of Treaty Consulting Group, is the Team Mentor.